The fairway wood can be one of the most versatile tools in a golfer’s bag. 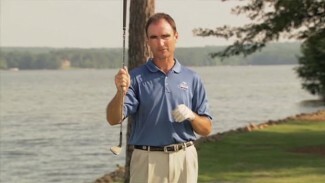 But many golfers don’t know how to hit fairway woods with proper technique to fully maximize the potential of this handy club. In order to best utilize a fairway wood, you have to change the angle of attack that you’d typically use from the fairway with a long iron in your hands. In this lesson, we teach you how to hit fairway woods better by practicing a simple, highly effective drill. It’s called the aircraft carrier drill, and it’s going to change the way you approach your fairway wood shots. 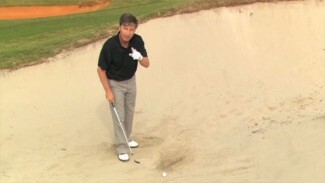 To help you figure out how to get the most out of your fairway woods, PGA Professional Joseph Hallett demonstrates the aircraft carrier drill, one of his favorite exercises for learning how to hit fairway woods properly. The goal of the aircraft carrier drill is to train a shallower angle of attack. With a sweeping motion rather than a dipping swing, you’ll find that you’ll hit your fairway woods farther and closer to your target. Setup and execution of the aircraft carrier drill is very easy. All you’ll need to discover how to hit fairway woods better is a 2×4 and your favorite fairway wood. Joseph shows you how to begin learning how to hit fairway woods with a half swing and progress to a full swing. He stresses the importance of using a flat, sweeping motion with the fairway wood as opposed to a high angle of attack, which typically causes players to top the ball or hit the ground too early. With Joseph’s expert tips for how to hit fairway woods, you’ll feel more confident pulling this versatile club out of the bag and swinging right for your target! This may be a good drill. But for me it seems like only a test of your technique. 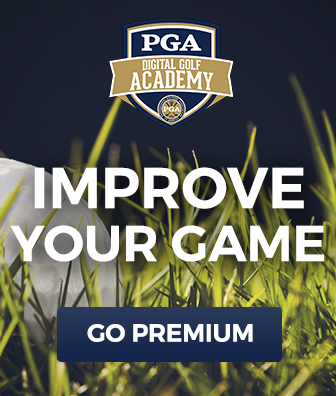 You give no details on how to develop a swing with a shallow angle of attack i.e. Ball position stance, weight distribution, wt shift… If we as students of the game don’t understand the fundamentals involved it makes it hard to develop the proper swing and to be able to recall/use this special swing when it is required. I know you can do better. Hi Don. Thank you for your feedback. Your comment has been forwarded to the proper department. Your comments are important to us and help with the development of our online video streaming community.